I celebrated the new year with some easy miles around the ‘hood. There was no other way I would’ve liked to have kicked 2018 off. I had a 6 mile tempo with 1 up and 1 down. 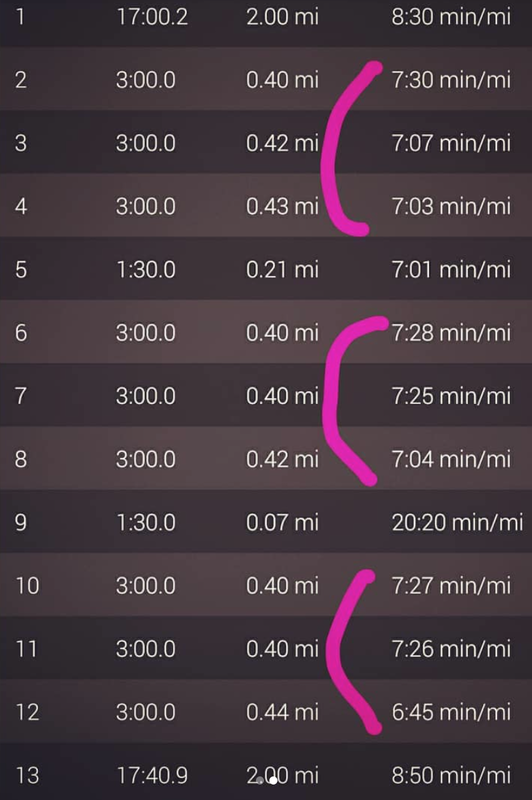 I tried really hard to make sure these tempo miles stayed close to the target pace (7:40) and not faster (my coach is big on that). There was a 90 second rest interval after each mile, too, so that was nice. This was a doozy of a workout. I had 2 miles of warm up, then 3×9 minutes (3 min fast, 3 min faster, 3 min fastest), 2 miles cool down. I wanted the intervals to be at targets paces 7:40, 7:25, 7:05 but yeah, I didn’t do a very good job of that. Today was concert day! 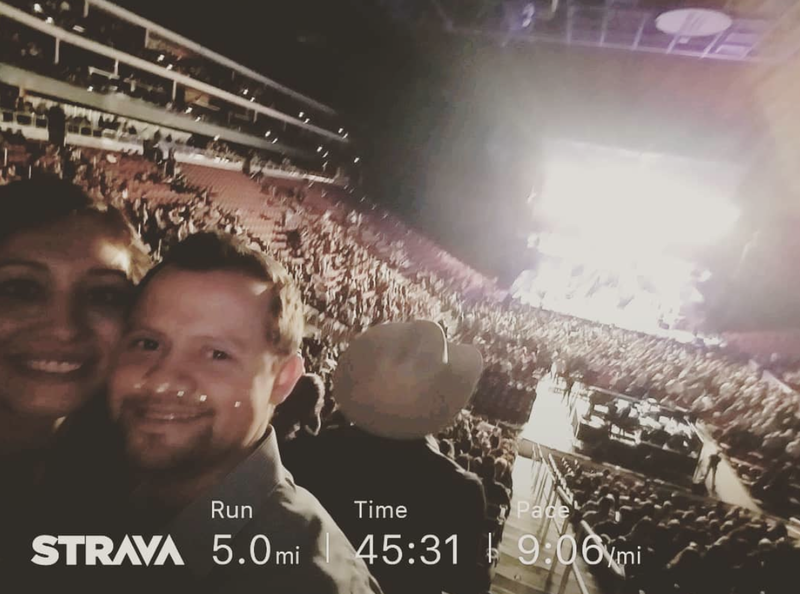 It was at night so I could’ve done something during the afternoon….but didn’t 😀 We went to go see one of my favorite Mexican singers, Pepe Aguilar. I’ve listened to him pretty much my entire life and couldn’t believe that I was actually seeing him perform LIVE. It was a major moment crossing that off my list. Post concert recovery miles, lol! I moved my long run to today. It was a fun little fartlek with the last 10 miles having 1 minute pick-ups at the beginning of each mile. Which brought me to 40.71 big ones for Week 11! This week my coach has given me a mini taper leading into Rock n Roll Arizona 1/2. I’m gonna be shooting for that sub 1:40 again so if you can send me all the good luck juju you can, I would appreciate it!!! ❤ Check out my instagram for “live” results, lol! –What musician/band(s) would you like to see? Great week of training, Helly! Thanks, Elle!! Gonna channel my inner speed Elle this weekend! I sure hope so!! Thank you for your support! Very awesome week of training Helly! 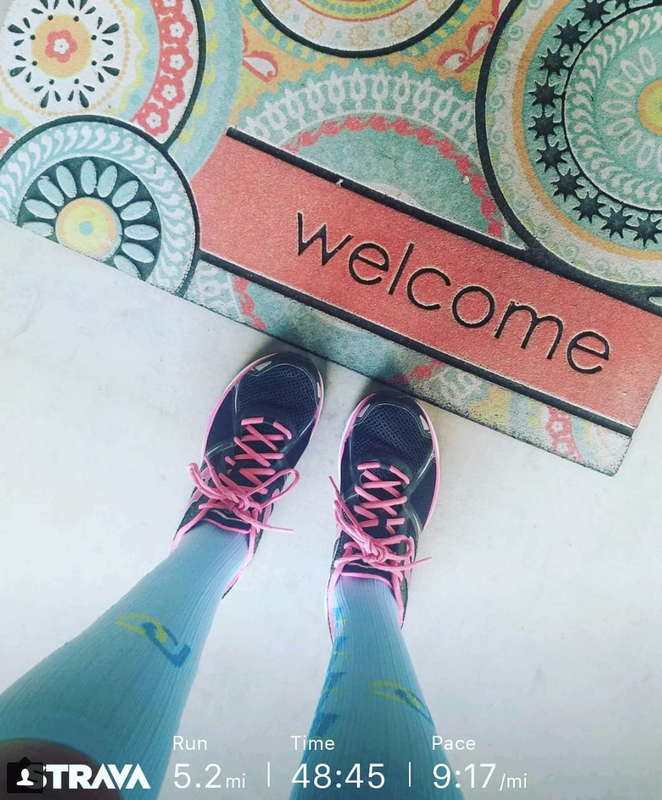 Those interval paces – wowzers! Good luck this weekend girl! Thank you!! 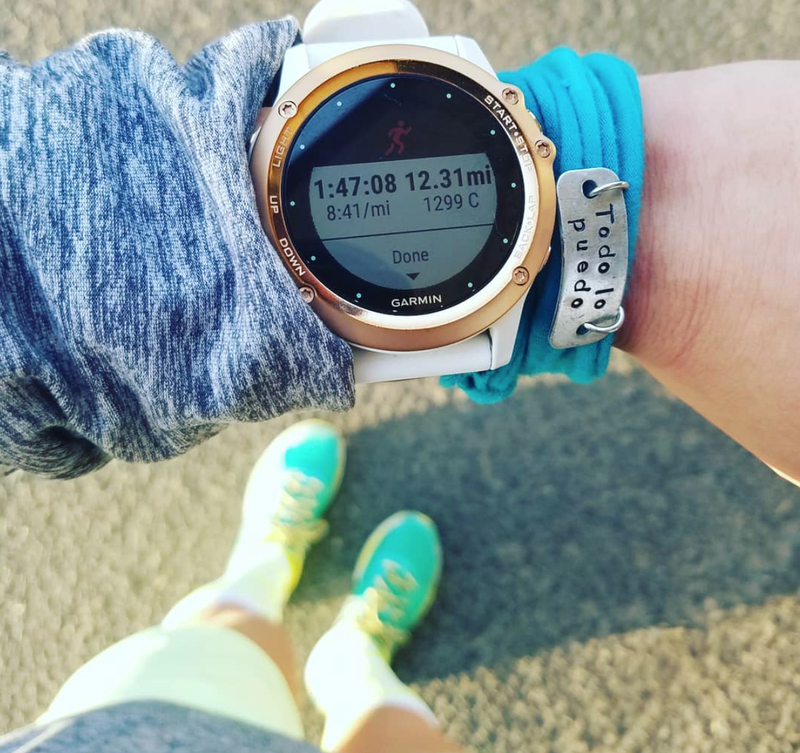 Hoping to come back with a new PR–eeeeep!!!! Great week of training! Sending you all my good luck juju for this weekend! W?hat a great week! I have trouble sometimes keeping my intervals on target too. Have a great race this weekend! Nice workouts!! Good luck on your race!! 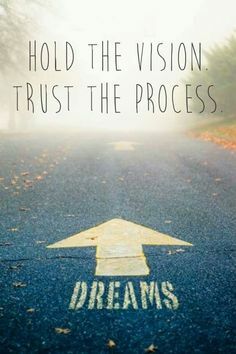 you’ve had an awesome training cycle and progression…best of luck! !